The Town of Holderness is in central New Hampshire, nestled between the foothills of the White Mountains and the shores of the Squam Lakes. The town of 2,108 residents is small and largely rural; the breathtaking natural beauty of the lakes and mountains is what draws visitors and residents alike all year round. Holderness and the surrounding towns have wonderful educational, cultural, and commercial assets; shopping, theater, music, restaurants, galleries, and bookstores are within a few miles of Holderness Village. 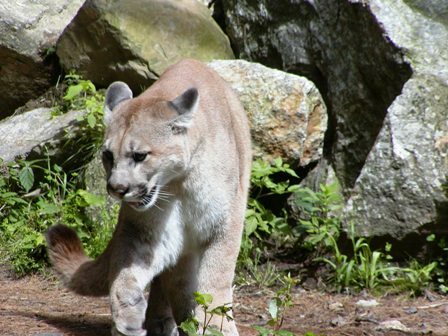 The Squam Lakes Science Center is also located here; the organization brings together live animal exhibits, natural science education programs, an informal public garden, and lake cruises. The famous film, On Golden Pond, staring Katharine Hepburn and Henry Fonda (in his final acting performance) was set in the town of Holderness in 1981. Resident students attend Holderness Central School through grade 8 then move on Plymouth Regional High School in Plymouth. Holderness School is a private instituition for grades 9-12 that aims to better prepare students for college and life. Exceptional 25 unit Waterfront Motel/Cottage Colony with 347 feet of shorefront on 295 acre White Oak Pond with 7.93 acres of rolling lawns and woodland. Just across the road from Big Squam Lake in the scenic town of Holderness. Owners have run a Successful Business with a very strong cash flow for 40 years. 8 unit motel, 16 cottages (4 winterized), 1 bdr winterized mobile home and a lovely year round 2,400 sq. ft. 3bdr-2bath single family home. Resort amenities offer in ground pool, large sandy beach, swim raft, dock and boat ramp. Handy to Squam Lakes Science Center, numerous hiking trails, skiing, shopping and all Lakes Region activities.. Quiet relaxing Waterfront Resort. Perfect for kayaking, canoeing, sail boating, swimming, paddle boarding or just kicking back with a good book. Being sold as a Turnkey operation. Prime location Nestled between Squam Lakes and Lake Winnipesaukee. A Great business & lifestyle opportunity in NH's Lakes Region. Unique opportunity awaits with this historic Victorian home. Home features 8 bedrooms, 3 1/2 baths with many updates. Perfect for the Bed and Breakfast visionary. Home sits atop a hill that overlooks beautiful Squam Lake. Close to many tourist locations including golf, ski, and mountains. Easy access to I-93. 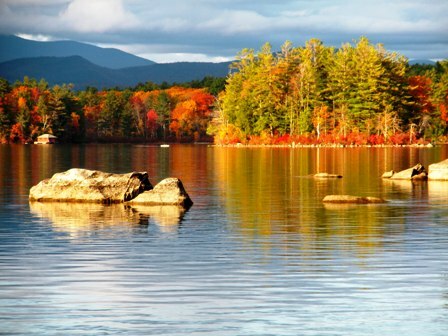 Buy a life-style in the lakes and mountain area of New Hampshire in the low tax desirable town of Holderness! This is a unique property with over 10 beautiful acres, an owners home, a 2 bedroom rental, 10 room motel, restaurant and pool, near the Squam Lakes Association. Bring 10 friends who want a spot near Winnipesaukee, Squam and the White Mountains. Imagine pulling into your garage and sitting in front of your gas stove after a day of skiing. Summers guests enjoy the picnic area, ping pong, horseshoes and a dip in the pool. Owners have access to a great beach on Squam Lake where On Golden Pond was filmed. Theaters, summer Music Festival, shopping, restaurants, ice fishing, pond hockey, hiking, biking, premier rock climbing, skiing, snowboarding are all nearby. Take classes at Plymouth State University. Boston MA, Portland ME and the NH Seacoast are just 2 hours away. Enjoy your guests and your private home or make it a family compound. Snowshoe or hike around your own beautiful land.